Following the launch 3G Dedicated web page by Bharti Airtel and Reliance Communications (Rcom), IDEA Cellular, India’s 2nd largest GSM Mobile Service operator Vodafone Essar today flagged Off its dedicated 3G Web page. As Vodafone is preparing grounds by launching a dedicated 3G web page giving information about its 3G offerings and also assure its customers to get 3G broadband experience with speed better than any other wireless technology available in India today, with peak 3G speed at 21.1 Mbps on the Vodafone network as well as general awareness information like comparison of 2G and 3G services, is your mobile 3G ready etc. 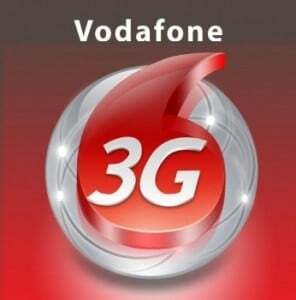 With 3G Vodafone seems to offer attractive value rich contents like, Video calling, MMS Alerts, Video Alers, faster social networking, LIVE TV, On-line HD Gaming and the list goes endless as imagination will be the key in 3G technology. To get in depth analysis of upcoming Vodafone 3G, check out this link for more details. Vodafone Essar has 3G spectrum in 10 circles – Delhi, Mumbai, Chennai, Kolkata, Maharashtra, Gujarat, Tamil Nadu, Haryana, Uttar Pradesh (E) and West Bengal.